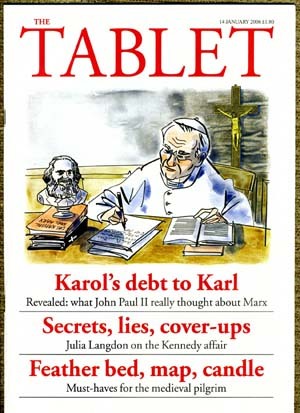 In The Tablet, January 14, 2006, two authors from Warsaw expose an unpublished collection of lectures by Fr. 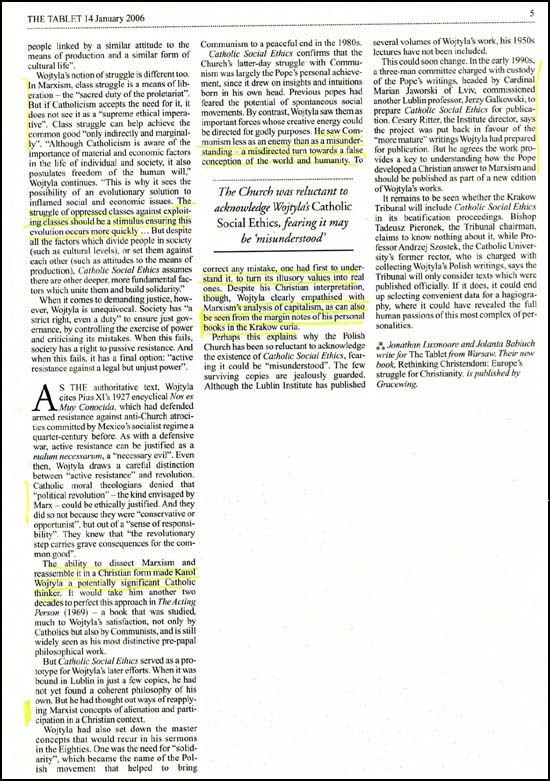 Karol Wojtyla - a two-volume work titled Catholic Social Ethics - in which he defends important theses of Marx and adapts them to his "Catholic ethics." 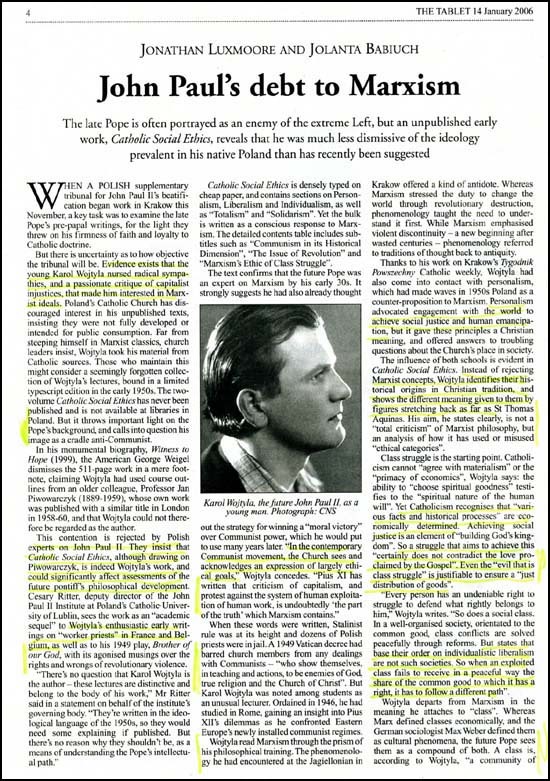 The Catholic Hierarchy in Poland refuse to take the work into consideration for Wojtyla's process of beatification, and do not want to deliver it to the public for general appraisal. The two authors challenge this decision and seem to have a copy of the work at hand. Scholars of different Polish universities have entered the debate, as seen below.